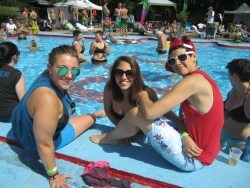 Fusion 2018 - 10th Annual Women's Pool Party - LesbianNightlife® San Antonio - San Antonio's Best Resource for Clubs, Bars, Events, and other Nightclubs and Nightlife. The only way to beat the summer heat? A pool party of course! 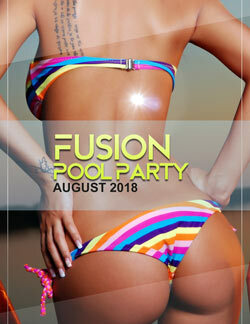 Fusion returns in 2018 for it's 10th Annual Women's Pool Party! 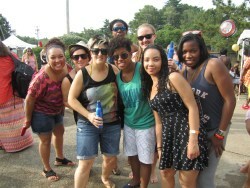 Every year at Fusion we feature different dj's, live entertainment, games, activities, and more. We've had many guest over the years, including Whitney Mixter (the Real L Word), Hunter Valentine, Pepper Mashay; comedians Mimi Gonzalez, Susan Westenhoeffer, Chantel, Jackie Monahan; local musicians Karen Grenier, Lauren Bateman, and the Candance Brooks Band just to hi-light a few of the people and performers who have been to Fusion. Online tickets for Fusion 2018 will be on sale Spring 2018. Visit www.lesbiannightlife.com/fusion to purchase.